Wyoming County has so many great businesses from all across our 16 towns. 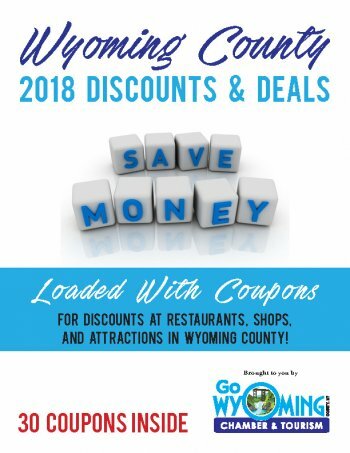 We are very pleased to offer this brochure of 30 Discounts & Deals offered by restaurants, shops, and attractions from across Wyoming County. Download the brochure online or contact the Chamber at 585-786-0307 or email us at info@wycochamber.org and we will be happy to put one in the mail.